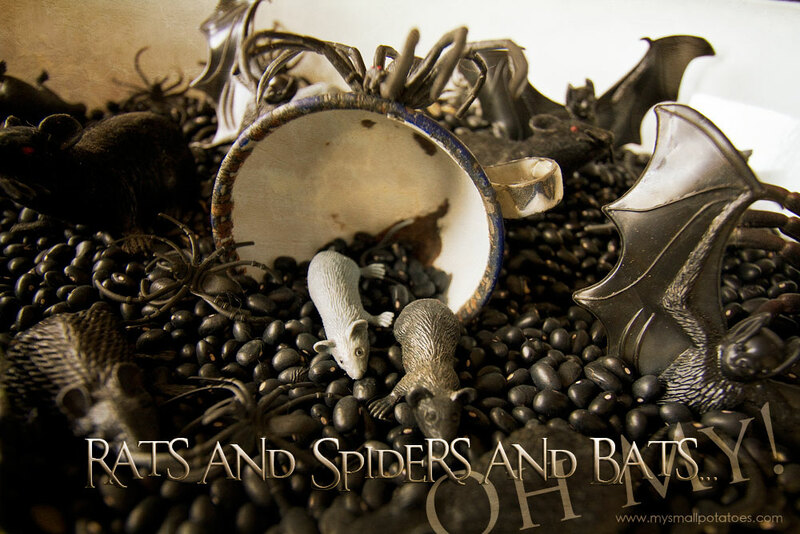 Rats and Spiders and Bats, Oh My! 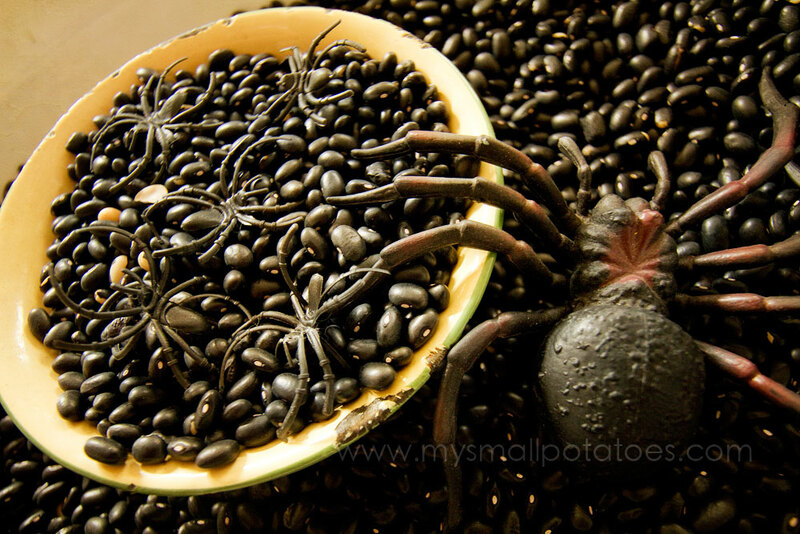 The creepy crawlies are finding their way into the house as the weather turns cold and the end of October is upon us. 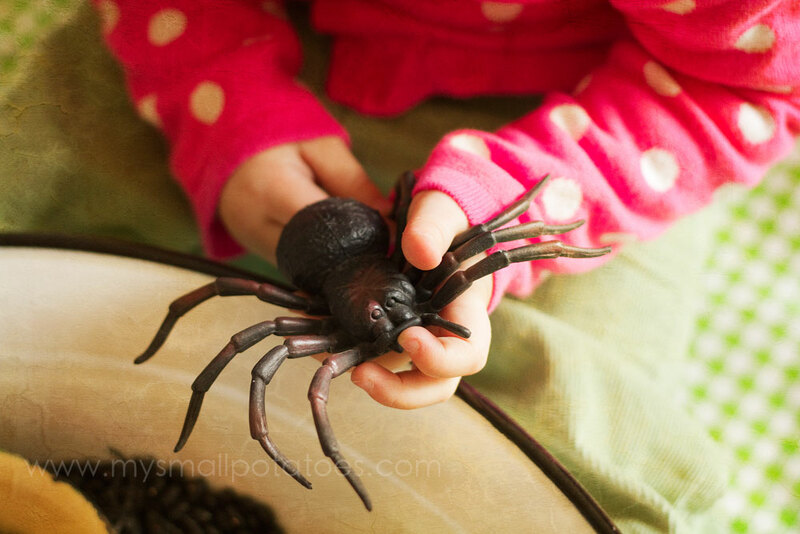 We’ve got spiders. We’ve got rats. And we’ve got bats. 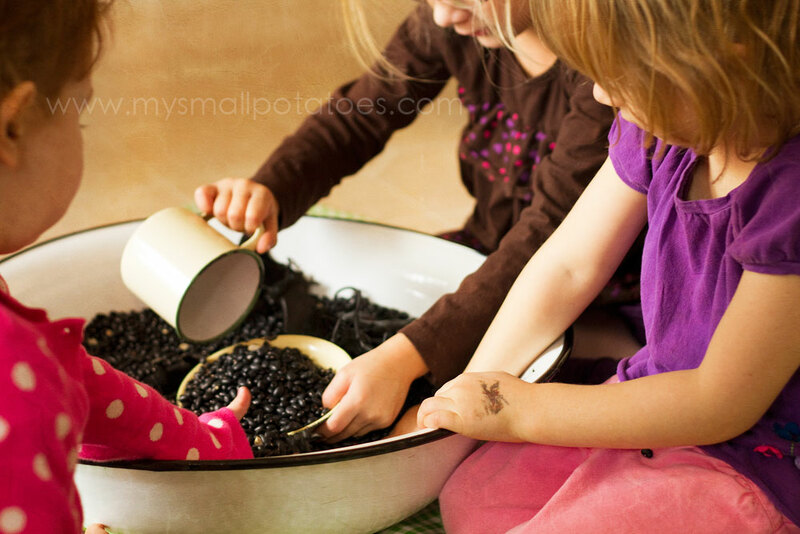 The smalls don’t want me to get rid of them…although their parents feel the opposite. The rats are especially unpopular with the mamas. Hehehehe. 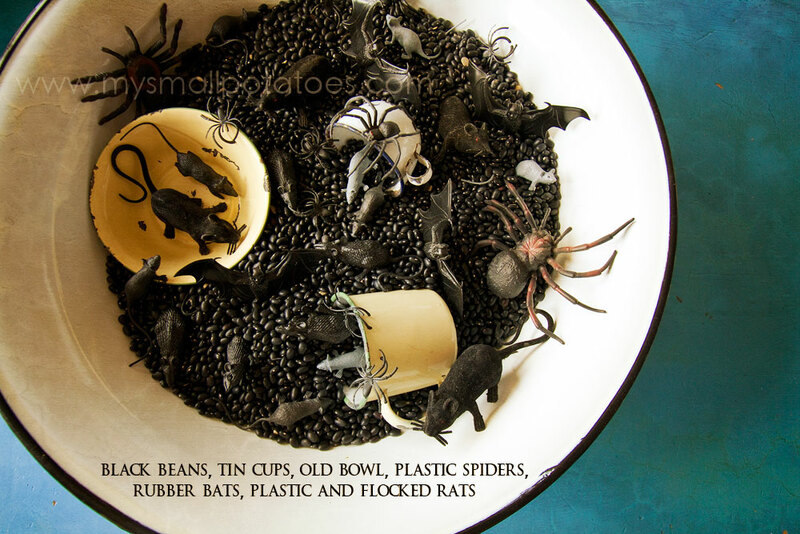 Our giant bowl of creepy critters is so popular, it’s out everyday for free choice playtime. It’s been a week now, and those little rats still get hours of play. Hours of play with so little effort on my part. 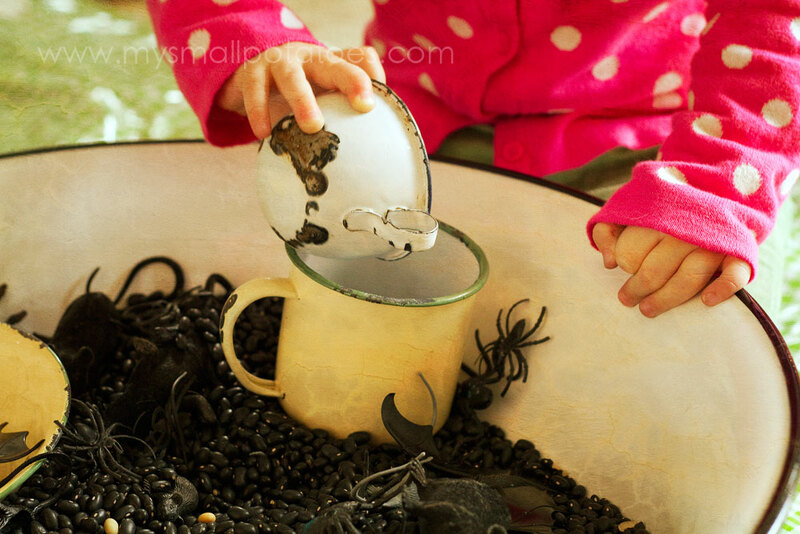 It’s just a few simple things from our Halloween storage bin… I used the biggest bowl I could find in my house so there is room for up to 4 to play. 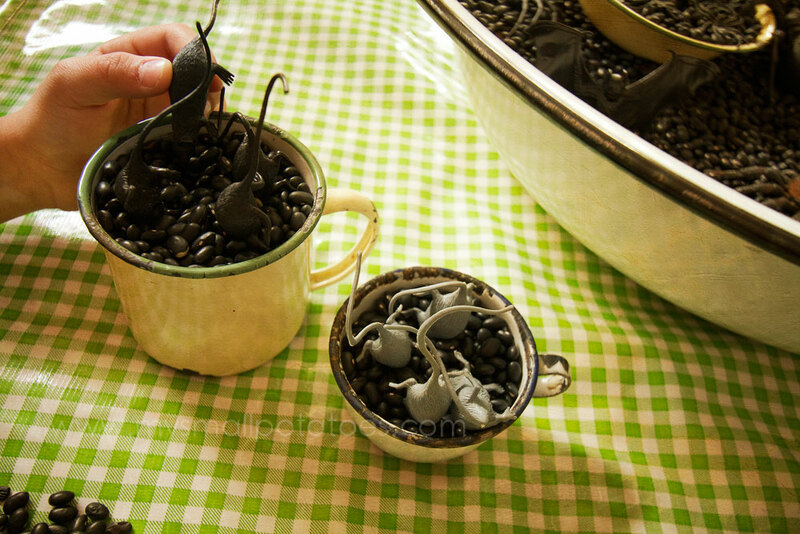 I used old enamel dishes to add to the creepiness of the activity, not to mention the beans make a delightful “ting” sound when they hit the metal. The smalls like to make noise. 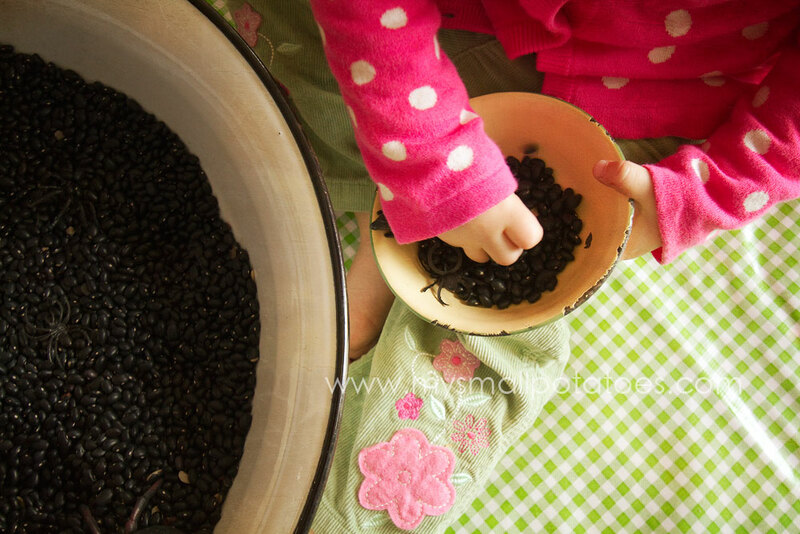 The littlest smalls like to scoop and pour the beans from one cup to the other… Or count beans into the dish… The bigger kids like to make scary spider soup… Or cups of rat coffee for me to have with my toast… This bowl of spook has so many possibilities. Did you know these rats have even been to Disneyland and stayed in a hotel? And the spiders have been to Mars. The bats like to eat popsicles, by the way. Oh, and fly in airplanes. 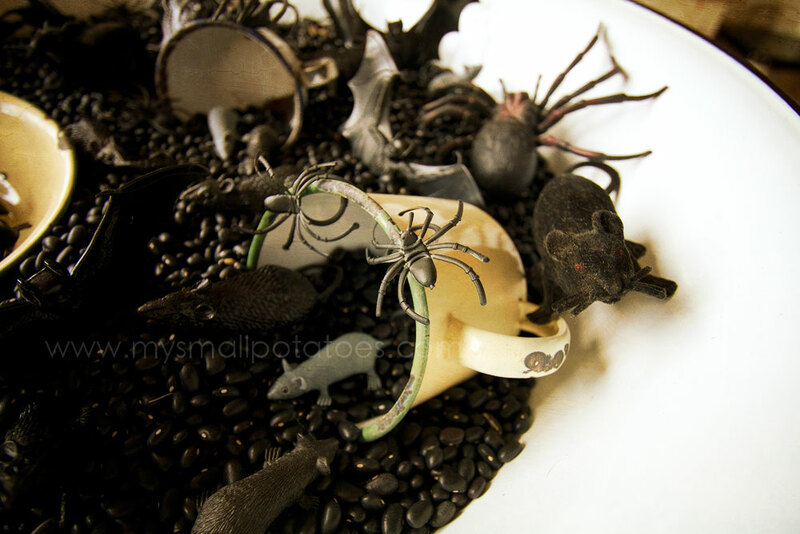 Stay tuned this week as we bring you even more Halloween activities your way! !